A reminder for myself is that in the school of adab they teach us to love whom you love for the sake of Allah (Azza wa Jal) and His Rasul, Sayyidina Muhammad (sallallahu alayhi wa sallam). That begins to teach us a different type of love. That the love of dunya that people come and we all came is that we have a love for something or someone and we want to make it to be the primary love within our hearts, make it to be something that we change or alter and manipulate it to the way we want it, and it becomes the main love of our material world. Many people come disappointed with that love. 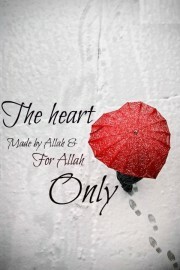 That love of something from dunya is of a different reality, not a reality that enters into the heart. The turuq (Islamic spiritual Paths) come and begin to teach that the primary love in your life must be for Allah (Azza wa Jal). From Allah (Azza wa Jal) that love of the Divine, and the Rahma and Mercy of Allah (Azza wa Jal), where that love begins to manifest and it begins to pull the seeker towards the reality of the Divine. If not for the love of the Divine nobody would be gathering in these associations! Means they teach us then that becomes the primary love of your life. Put everything back into its correct order, its correct understanding. Because the material world teaches us to love each other, then we want so much from each other that we begin to manipulate that love because of happiness and the disappointments. They teach us no those are all a different reality, put that into your liver not into your heart. 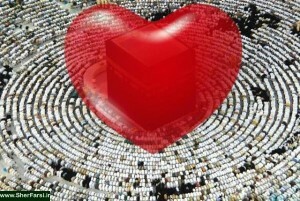 In your heart keep the love of Allah (Azza wa Jal), the love of the Divinely Presence. When that love begins to manifest, Allah (Azza wa Jal) begins to clarify within the heart that include the love of My most beloved one, include the love of all the Prophets, especially the love of Sayyidina Muhammad (sallallahu alayhi wa sallam). Your heart begins to move now in the correct order which Allah (Azza wa Jal) designed us, made us and perfected us, that keep your love in your life for My Divinely Presence, keep your love in your life of My beloved Sayyidina Muhammad (sallallahu alayhi wa sallam) and your life should be calibrated and you will have a correct focus because the only thing important in life is if Allah (Azza wa Jal) is happy. 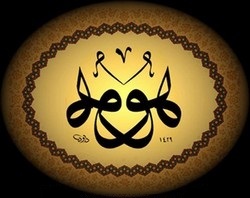 If my love for Allah (Azza wa Jal) is correct, my love for the Divine is correct, then Allah (Azza wa Jal) is happy. If Allah (‘Azza wa Jal) is happy, then the love of Sayyidina Muhammad (sallallahu alayhi wa sallam) overtakes the believer and that becomes a calibrated and correct heart. Its compass is working; it is moving always towards the Divinely Presence. Every other love you put it in its perspective because it is not the primary love. If we put something from humans as the primary love then there are so many disappointments, so many sadness’s, so many difficulties. Because we by our nature make it to be like it is a divine love that it shouldn’t fail, it shouldn’t go wrong and it should lead to all of our expectations. Then Allah (Azza wa Jal) is going to disappoint that person, that your love shouldn’t be for any of My Creation. Your heart is made to love My Divinely Presence. 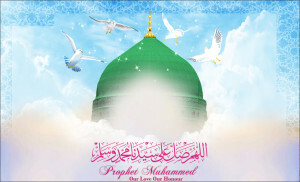 A reflection of My Divinely Presence is the reality of Sayyidina Muhammad (sallallahu alayhi wa sallam). If your heart is truly calibrated with that love and that understanding, then everything else is in its perspective, everything else is in its place. We then don’t try to make those loves as if they are divine. It means when the heart is solid and secure with Allah (Azza wa Jal), and with His beloved Sayyidina Muhammad (sallallahu alayhi wa sallam), we begin to understand and love everybody for who they are and what their abilities are, and what their abilities are not. We keep it in its perspective, and we didn’t put it out of its place that would lead to disappointment or difficulties. With that understanding then they teach us: clean your heart, perfect your heart, take everything out of your heart except the Divinely Presence of Allah (Azza wa Jal) and the love of Sayyidina Muhammad (sallallahu alayhi wa sallam). Then begin the reflection of the Ulul Amr because they represent the love of Sayyidina Muhammad (sallallahu alayhi wa sallam) and they teach us how to love Prophet (sallallahu alayhi wa sallam). Then when the salik (seeker) is on the path of correct love, that they took everything out of their heart, like the Ka’bah. Prophet (sallallahu alayhi wa sallam) was fighting the idols of the Ka’bah. That for thirteen years Prophet (sallallahu alayhi wa sallam) was in Makkah and the battle of Makkah. It means that we copy that life, that our struggle is that everything that is entering into the heart, whether it is money, business, or places, things, or people, all of those are the idols that are trying to occupy the heart of the believer. Prophet (sallallahu alayhi wa sallam) is then teaching that ‘you are going to have an imitated version of my life’. Am I going to guide you then I will guide you as Allah (Azza wa Jal) guided me, at least for thirteen years you will be struggling with yourself and your desires. Take them out of your heart. These are all idols and they all have to be destroyed. Only at that time, after fighting, fighting, and fighting against these idols and the torment that these idols impose upon the believer. It means how to take those desires and difficulties away. And when Allah (Azza wa Jal) sees the good struggle within the heart of the believer, that you are struggling. It is not a battle that you can win; the desires are not a battle that you can win. 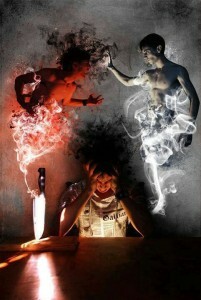 To manipulate and understand people is not a battle that you can win. But constantly struggling with all of them, the people, places and things that are constantly entering into the heart. When Allah (Azza wa Jal) begins to see that the struggle is true, this person is struggling to keep their faith. When Allah (Azza wa Jal) finds satisfaction in the fact that you are struggling with yourself. All the temptations and all of these idols that are coming into the heart; when we are constantly struggling with that, trying to keep them happy, trying to keep our seclusion, trying to keep our work happy and keep our award. Everything is a tremendous battle. It doesn’t mean if they opened up work for you that you stop everything, you stop your awrad, you stop the zikr! No, it means that they just elevated the amount of which you have to fight. There is no stopping, there is no saying “O Shaykh Allah sent me a great job now I don’t do my awrad, now I don’t do my prayer, I don’t do anything.” No, no, it means now you have a bigger fight because when you are unemployed it was easy to do everything. It means that every relationship that is coming to us is that struggle of the heart. Now I have more work, I have to spend more time, I can’t sleep at night because I have to do all my award. I have to take my family out. I have to take them out. We used to have to take the kids out to the Mall and give them ice cream and pizza while we were fasting and they would keep trying to put ice cream in our mouth. You can’t isolate yourself and sit at home and say, “I am fasting, I am sitting at home.” No, no, for them they are not fasting as little children, you have to take them out. That is your struggle, that is the jihad al-akbar. The great struggle is the fight against the self, to do everything that Allah (Azza wa Jal) wants done, it is all worshipness and to keep Allah (Azza wa Jal) satisfied, the love of Allah (Azza wa Jal) supreme, the love of Sayyidina Muhammad supreme. When Allah (Azza wa Jal) sees the servant is struggling, struggling, and struggling, then opens up the City of Light. When Prophet (sallallahu alayhi wa sallam) moved from Makkah to Madina, means there was an opening of the City of Lights and the support from the City of Lights that the heavenly realm will begin to support you. The heavenly realm will begin to support you. That in your struggle and your activities if the heavenly realm begins to come into the heart and everything becomes so sweet. Before, you were struggling and trying to balance the yelling and all the screaming and the disturbance within the heart. But, when the heavenly realm begins to open, when Allah (Azza wa Jal) lets the soul to move in to Madinatul Munawwarah, means that every difficulty and struggle Allah (Azza wa Jal) releases a sweetness within the heart, a light within the heart. That the ashiqeen, feel that light and that love and the presence of Sayyidina Muhammad (sallallahu alayhi wa sallam), the presence of Awliyaullah and makes their entire being to have a sweetness. Because as much as the crushing is happening, there is a tremendous inner opening of love, of realities and lights. Allah (Azza wa Jal) is saying if the physicality is crushing then your spirituality must be growing. If your physicality is growing your spirituality must be dying. They want all of that crushing, they want all of that testing, all of those practises. If Madinatul Munawwarah is in the heart of the believer and the love of the Prophet (sallallahu alayhi wa sallam) is supporting, the love of Awliyaullah is supporting them, then when they go back into their heart; Prophet (sallallahu alayhi wa sallam) conquered Makkah without a single battle. Means there is a fight in the heart, then we struggle, until Allah (Azza wa Jal) begins to send a light, from the people who train and close their eyes. That all these difficulties are meant for you to meditate and contemplate, not to cry and complain about it, that you want the difficulty to be taken away. No, no the difficulty is not going to be taken away, it is going to be sent more because the understanding is wrong. When you have difficulty, you do better spiritually. Not that the difficulty is taken away and you go back to heedlessness. When the difficulty comes in life, we begin to sit and meditate and contemplate and cry and cry, it is like an earthquake happening on to the body. Yaa Rabbi the difficulty is too much. The body begins to quake and then the soul begins to come free. That is idha jaa a nasrullahi wal fath. Who is Allah’s Nasrullah (Divine Support)? When Allah (Azza wa Jal) sends His nasrullah means He sends the nazar (gaze) of Sayyidina Muhammad (sallallahu alayhi wa sallam), means now go and rescue that one. So the nazar of Prophet (sallallahu alayhi wa sallam) is merely gaze upon the soul and will pull the soul into his divinely presence, in his heavenly presence, in the presence of Allah (Azza wa Jal). That becomes the opening of Madinatul Munawwarah. At that time the believer begins to take every struggle that is happening into the heart, like conquring Makkah. The conquering of Makkah because the support of Prophet (sallallahu alayhi wa sallam) is with you, the light of Awliyaullah is with you and you begin to move back into the heart. 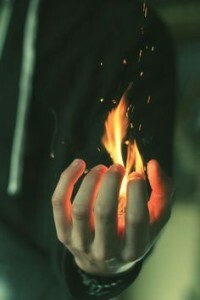 There is no more big battle, that light is enough to scare everything out of your heart. That heart begins to have tranquility in the Divine Presence. That heart has tranquility in the love of Sayyidina Muhammad (sallallahu alayhi wa sallam) and it has its place in the presence of the Ulul Amr. When we understand that love and we understand that struggle then don’t come to keep asking for these struggles to be taken away. These struggles and difficulties are means in which to reach that purification and to reach Allah (Azza wa Jal’s) satisfaction. When we have that understanding everything is in its perspective that love for Allah (Azza wa Jal) is supreme and everything else doesn’t matter. Then Allah (Azza wa Jal) begins to test if what you say is true, that your love for Me is all that is important, your love for Sayyidina Muhammad (sallallahu alayhi wa sallam) is all that is important. Means then from the relationship and character, akhlaq of Awliyaullah how they trained us is then everything you do must be for Allah (Azza wa Jal) and Sayyidina Muhammad (sallallahu alayhi wa sallam) only. They send you a test when someone you thought you loved begins to show you no love. Even if it is a shaykh and begins to give you a very harsh time, a very difficult time, and they want to test. 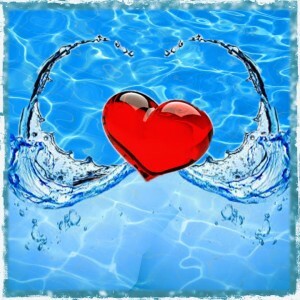 It is easy to love somebody who loves you because you are doing this now for something back. You are doing it for the dunya. But if they throw the door on you and shut the door on you and throw you out the window; Allah is testing, are you doing it for that person or are you doing it for the love of Allah (Azza wa Jal)? If it is for Allah (Azza wa Jal), then istiqaamah, keep your way and keep yourself firm because, you love them for the sake of Allah (Azza wa Jal), you love them for the sake of Sayyidina Muhammad (sallallahu alayhi wa sallam). It is not about what they do to you, they respect you or don’t respect you, they are good with you or bad with you. Allah (Azza wa Jal) is going to test you. Means every love is going to be tested. This is not something that Allah (Azza wa Jal) and Prophet (sallallahu alayhi wa sallam) are training, and it is not going to happen. It happens, there are so many different examples. Where Mawlana Shah Naqshband went to his shaykh and the shaykh shut the door, then it was snowing, it is a long story. He said, “I am never going to leave, my shaykh threw me out the door.” He put his head on the threshold and waited for the snow to end. The shaykh opened the door in the morning and stepped on his head by accident, “O you are there?” It means there is no running away. Everything is going to be tested. Every teaching they teach is going to be tested. Every relationship in dunya you keep it for the love of Allah (Azza wa Jal) and the love of Sayyidina Muhammad (sallallahu alayhi wa sallam), whether it is good to you or bad to you is none of your business. You don’t like people when they like you and you don’t like people when they don’t like you. That is an animal kingdom. Heavenly kingdom is that you love all of Allah’s Creation because Allah (Azza wa Jal) loves them. 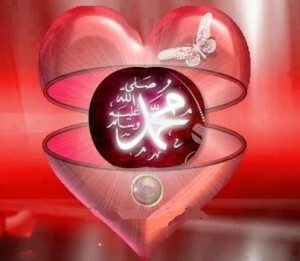 You love everyone because Sayyidina Muhammad (sallallahu alayhi wa sallam) loves them. If they do good to you Alhamdullelah, if they do bad to you, what can you do? Make istighfar that Allah (Azza wa Jal) forgives them. Means what they want from us is the best of character. We pray that Allah (Azza wa Jal) sends more and more support so that we can please Allah (Azza wa Jal), please Sayyidina Muhammad (sallallahu alayhi wa sallam) and keep our relationships and our understandings in their perspective. Understand our testing in life. When testing comes not to be so quick to throw the test out but to find the wisdom in the test, that why am I being tested? Why is this difficulty happening? Why are these issues happening in my life? Yaa Rabbi what is it that you want from me? Then finding the reality and the akhlaq (manners) that Allah wants something from the good characteristics so that the love becomes pure, and the understanding becomes pure, for the reality of Allah (Azza wa Jal), for Tawheed and for the love of Sayyidina Muhammad (sallallahu alayhi wa sallam). Subhaana rabbika rabbil izzati `amma yasifoon wa salaamun `alal mursaleen wal hamdulillahi rabbil `aalameen. Bi sirri Muhammad al-Mustafa, wa bi sirri surat al-Fatiha.